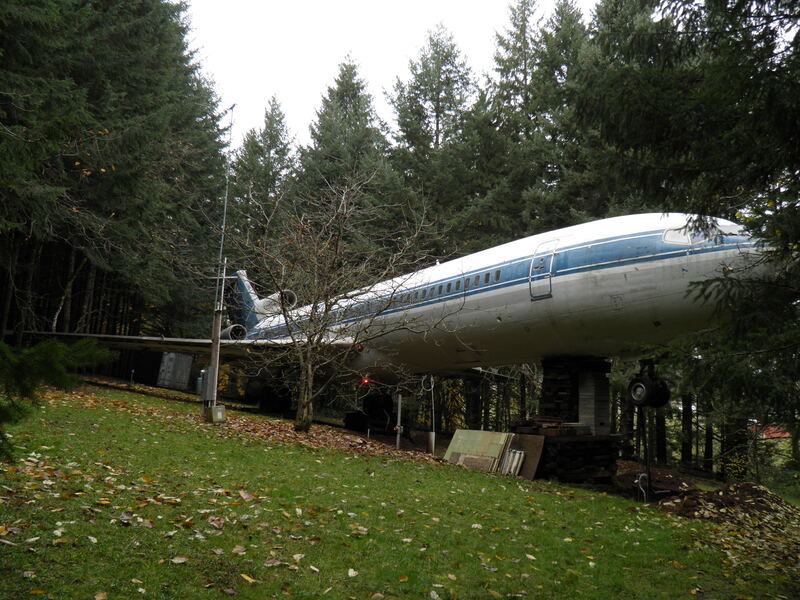 Bruce Campbell lives in a retired Boeing 727 jetliner on ten acres in rural Hillsboro. Bruce Campbell is used to a few visitors showing up at his Hillsboro-area home. They come in ones and twos, sometimes in groups, making the drive to his 10 wooded acres south of Hillsboro just to get a sight of his house, a retired Boeing 727 jetliner. Far more than a few people are expected to come to Campbell's plane in September for a dance party on the wing of his airplane home. Event planning company, Murderboat Productions announced earlier this month it plans to host a dance party at the site. When news of the event was posted to Facebook, advanced tickets sold out in less than 1 minute, according to event organizers. So far, 18,000 people have expressed interest in the event and organizers say they are looking at ways to accommodate more people. Campbell, 68, has hosted a handful of concerts at his home over the years, drawing people to his secluded spot near Laurel. September's dance party is the first large scale event for the Hillsboro resident, who lives on the property six-months each year. "Yuko-san [a singer and keyboard player who has performed on Campbell's plane several times] is the first person in the history of the cosmos to ever have a concert on the wing of a jetliner and that's pretty cool." 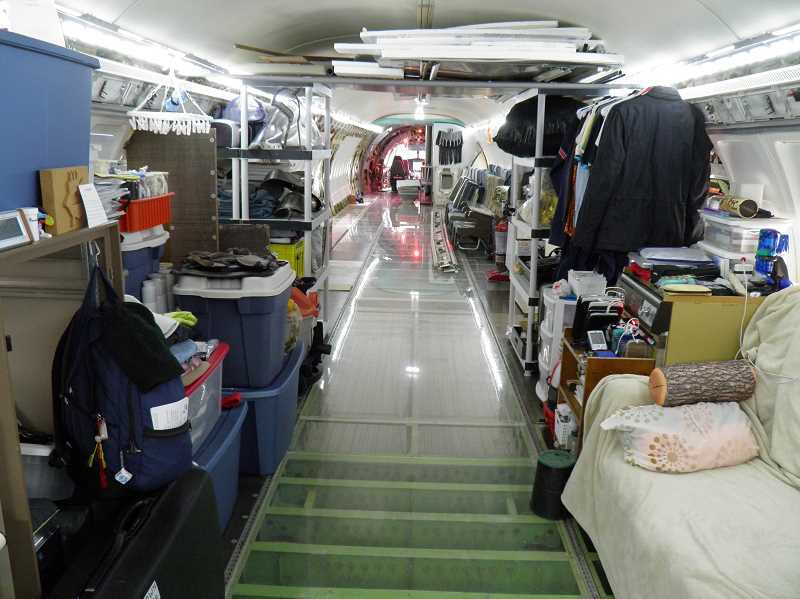 A retired engineer, Campbell has made headlines for years for his airplane home. It has all the amenities of a traditional home, including electricity and running water along with a bed, shower, bathrooms, refrigerator, microwave, toaster oven and work desk. How did the gigantic 727 come to be on Campbell's wooded hill south of Hillsboro? The jet used to fly for Greek airline company Olympic Airways. After Campbell purchased the plane in 1999, it was flown from Greece to Kansas City and from there to the Hillsboro Airport. Campbell payed a salvage company about $100,000 for the plane and spent another $120,000 to tow the plane from the airport to the Washington County Fair Complex, where for the next two months, Campbell and the salvage company worked to on it. Once it was ready to move to its permanent home, Campbell used house-moving dollies and custom built cradles to move the plane to Campbell's property. Campbell had built a virtual simulation of the plane and its route from the fair complex to his land to ensure nothing went wrong en route, he said. "I had to go out at 2 a.m. and measure a certain intersection of the route just to be really sure it would work and it was tight, really tight but we made it." For Campbell, living in a retired jetliner isn't enough. He wants others to see the practicality of turning these machines into homes. Across the globe, three jetliners are retired each day, Campbell said. Those vehicles could make perfectly good homes. "We are shredding our finest aerospace technology" three times a day, Campbell said. For Campbell, traditional brick-and-mortar homes can never compare to the ingenuity and technology that go into jet planes. "This is a good home," he said. "It's a sealed pressure canister. You're on robust landing gear with remarkably strong shock. No earthquake this planet can dish out is worse than even a slightly rough landing. And when the doors are closed and locked, you feel very safe." Campbell's unique way of living has been featured everywhere from The Oregonian to CNN. The retired electrical engineer has opened the home to lodgers on occasion, looking for a free — and unique — place to stay. "I feel very strongly about this project," Campbell wrote on his website last year. "I'm convinced there's a need to efficiently execute a compelling model which demonstrates far better use of these magnificent aerospace clippers and believe such a model is long overdue." Campbell's next project is another jetliner home — this time a retired Boeing 747 — in southern Japan, which he expects to be ready to move into about a year from now. "I hope people catch on [to this idea] fast," he said. "My next project should generate a lot of attention."